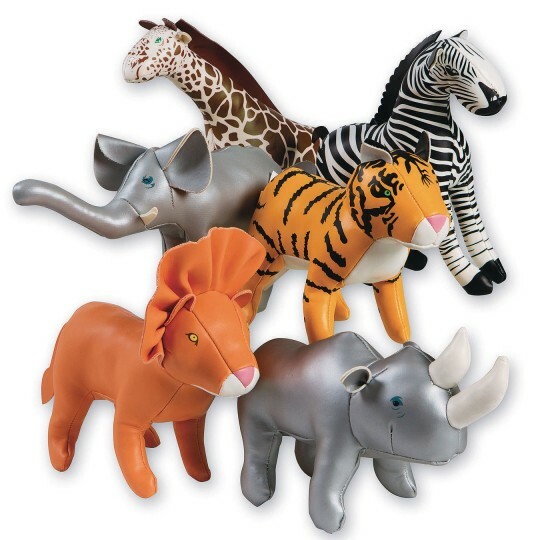 Wild animals for pretend play! 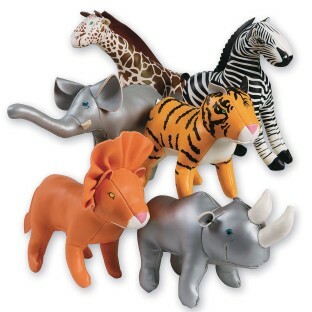 A set of jungle animals including lion, tiger, zebra, elephant, rhino, and giraffe all made of soft, wipe clean vinyl. Giraffe measures 8-1/2”H. For all ages.